A local grocery store needs to quickly train its newly hired cashiers on cashiering procedures, accepting payments, giving change, and bagging groceries. 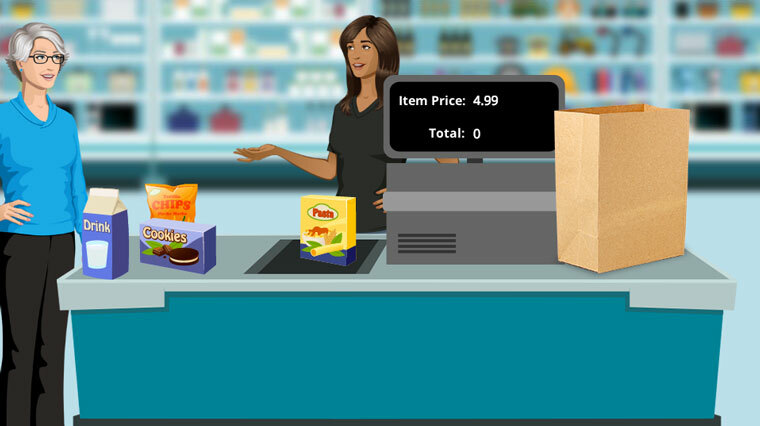 You’ve been contracted to create a series of simple games and interactions to help cashiers practice specific tasks related to their new roles. Here’s a basic interaction that uses variables and conditions to evaluate which items have been scanned before adding their price to the total price. If an item is added to the bag before scanning, an alarm is triggered and the cashier is asked to scan the item before placing it into the bag. I’ve included the source file so you can see how it was built. This week, your challenge is to build an interaction that simulates the checkout process at grocery or retail stores. You can build whatever type of interaction you like this week. 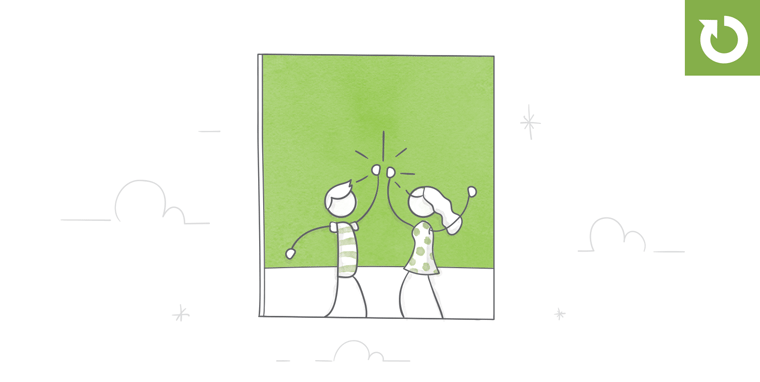 If you’re just getting started with Storyline, try your hand with adding variables. 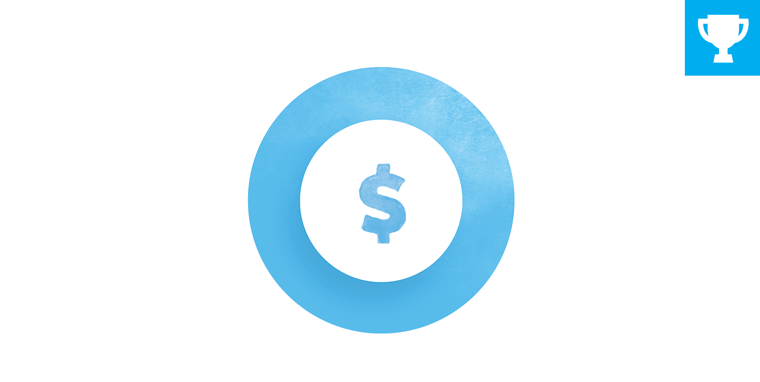 Can you simulate multiple checkout lines in your interaction? Wishing you a scantastic week, E-Learning Heroes! Cool idea for our first challenge of the year, David! Good call. It's a scientifically proven fact that people tend to have less time and fewer brain cells during the holidays! That looks great Nancy! Was it very difficult to learn? It is not difficult to learn but there is a lot of set up involved. My character is not perfect yet. The head motion is too jerky so need to add a 1/4 turn view. Thanks for the links Veronica. Good to know that this can be done in After effect. Nicely done Nancy! I've been learning Character Animator too, but haven't been brave enough yet to make anything... I think you've inspired me! Did you make the character yourself from scratch? Thanks Veronica. I did make the character from scratch in Illustrator. The only part I borrowed was the mouth. I was not up for creating all the different positions my first time out. I did create a bunch of hand positions which you can't see in this demo. Nice character Nancy, looking forward to seeing your finished interaction. Nancy, really cool!! Did you do this character in Adobe Character Animator and the added to your template? Hi Yekaterina, yes! I created the character in Adobe Character Animator and then imported it as a video into Storyline. I then added the receipt in Storyline. I am going to create a simple maths game in which the viewer is going to have to add all the items to find the total. Looks great, Nancy! Nice background sound effects, too. Wow, loved the character Nancy! That's a really nice design Noura! Very interesting animations. Loved the smartphone approach to tracking item prices. Nice example Noura and a good goal for 2017. I really like this especially the bouncy text on the first slide. How did you do that? Great stuff. I have Camtasia so this is something I could do. I also have After Effects which would also support this. Thanks so much for sharing your technique. Really cool...Specially the animated text in the beginning! Really nicely done, Richard! I also appreciate the upselling strategy of not allowing shoppers to leave until they buy one of everything: M-o-n-e-y m-a-k-e-r. This is a very nice, engaging and creative way to shop Richard. Well done! Thanks Alexander. Loved your interaction as well. Thanks for the fruits and veggies, Rambo! Worked really well. Thanks Jackie, your comments are always highly appreciated. Impressive design Rambo, that really worked well. This is really well done Rambo. This is super clever Rambo, I like it. As I thought of challenges, I always thought of the challenge to make items appear like they are in the cart. So my suggestion would be to use a flat design cart or a lil more complex would be to split the 3d cart in half. Thanks Alexander, great tip. Will look for a flat cart right away. Great work Rambo. Beautiful illustrations. Thanks Ashi. Can't take credit for the illustrations though. They are from http://www.freepik.com/. Excellent free resource for ELH challenges. Well Yekaterina, I went over my budget. I guess my wife will have to wait a little while before I can purchase them all. Very nice interactive. Thank you for sharing. This is so cool, Yekaterina. Thanks for sharing you work with us! My contribution is an oldie, but a goodie from the ELH Downloads hub: https://community.articulate.com/download/storyline-2-supermarket-challenge (Is it cool to double-dip?) Anyway, thanks for "ringing up" another great challenge idea, David! Style learn indeed is awesomazing....Nicely done Alex. Loved the barcode trick. Nice job Alexander. Very good interaction. hmmm, my computer's getting stuck on the opening screen. I'll have to try it on my laptop. Just tried my laptop, it gets hung up on the Start page as well. That's interesting Linda, what's your connection speed like? I did see some interesting reactions I was not expecting with character states but, it plays for me. You are not able to click the start btn? I click the start button and then watch the circle spin around and around. Nancy has the same problem. I'll try it at work tomorrow and see if that makes any difference. Sorry, but this isn't any different. Tested it at work, same problem. I can't move past the start slide. Yikes, this is really strange and is tickling my troubleshooting nerve. I get obsessed with solving the problem. Let me know if this is any different, I embedded it on my homepage. https://stylelearn.com/ What browser are you using? Does it happen both in Google and IE? Hey Alexander, The first time I tried it, the first screen took ages to move on (spinning wheel). I didn't think of it at the time, but I think I must have gone and done stuff elsewhere and when I came back I was able to go through it. With this new embed on your site, it actually took over 4 minutes to move past the first screen! Hope you can find the issue Alex! Thank you Veronica, I was in the process of trying to republish it in HTML5 but I get a 404 error when trying to preview it locally. It's time for eLearning CSI! Same problem as Linda, mine is also stuck on the opening screen. Hooray! I can see it now. Really attractive and engaging interaction, Alex. I left the tab open and when I came back to it, it was working. Like Veronica said, I think it takes a long time to load. I wonder if it's because of the large GIF background. I'm going to publish one with a video background instead and send it to you Linda. Would you be my tester? Ashi! Happy new year! I really liked your design, good use of variables and states there are the end when the customer walks out of the shop, nicely done! Nice work with the ambiance background audio and drag n droppenesss. This is a top score in the Ashimeter! I like this Ashi, I just wish it would let me return items that cost too much. I love this Ashi. It would be cool if you displayed the prices for each item so that learners could do the math to determine if they can afford to add another item to the cart. Veronica!! This is awesome! It was really fun and engaginng to see your example! Great job Veronica! I'm inspired. Love it! The gamification is great! I don't own a grocery store but if I did, I would hire you to train my new employees. Veronica, this looks amazing! I am wondering how long it took you to create it? Great idea Linda, awesome way to teach the finer points of refunds. That's a cool portable scanner effect and concept. That looks like a really cool game, thanks Veronica! I like that you kept me interested. Just what was going to be the next item returned? And I was so glad to be able to buy the braces! Thanks for your feedback Darlene! That's LINDASTIC! Love the example and idea with returning things. Great job! I really like how you have to use the scanner to get the feedback. Love it! I can finally get the braces I've wanted! It may be the first time that you've worked with variables, but everything works well. Great job! Good job Amanda, well done on getting started with variables! Thank you! It was a challenge, but I'm happy I know how to use them now! Hi all, here's my submission for this week: http://storylili.s3.amazonaws.com/Challenge%20155%20Self%20Checkout/story_html5.html I reproduced the self-order kiosk from McDonald's (hope it won't make you crave for some burgers at this time in the night :) ). OMG Liliana, that was brilliant! Those self-order checkout screens at MCDs work so well, and you replicated it perfectly, really, really, nice job. My only suggestion would be to add a hover state for the items that are not available in the demo saying something like "not available in this demo" or similar. With the burgers I tried clicking on the others and nothing happened before I realised the Big Mac was the available option. Other than that, awesome work! Thank you Veronica, glad you liked it :) and thanks for the suggestion, I realize now that it can be confusing. This is a really nice example Liliana. Agree with VeroBud and I have to say it didn't work Liliana! I want a Big Mac now ; ) This is an excellent simulation of the Mckee Ds kiosk experience, kudos! Liliana, I liked your example) Well done! Really nice, usable interaction, Phil. Always looking forward to your demos Phil. This one shows how simple is not simpler, great work. Veronica, she'd have to get rid of the pennies too! Thank you Veronica! It would be easy to change it over to any currency. Just have to replace the currency images and dollar sign if necessary. I can add the story file if anyone is interested. Nice example Mike. I like all of the practice questions that you included. What a great scenario to start the course! I love how you used the animations and the interactions were great as well. I may need to try GoAnimate again! Thanks for the feedback Veronica. Great idea to help make it more foolproof. I went ahead and disabled the coins/bills upon dropping them on the hand as you suggested and it seems to work much better that way. Just hit Reset if you make a mistake. I went ahead and reuploaded the files so the same link works above. May have to clear your cache though it you retry it. Thanks again. Mike you've created awesome example here. I liked everything about your demo (design, workflow, audio, video, images) ....Good job! Here is my example: http://elearning-examples.s3.amazonaws.com/Weekly-Challenge/155-GroceryStore/KatherineJackson/story.html. Nice interaction, Katherine. The exit button didn't work for me. Thanks, Linda! Hmm, the button is working on my computer so I'm not sure what the problem could be. Thank you for pointing that out, though. Thank you, Veronica! I'm wondering if the exit button issue is a browser issue. Love this Dan, beautiful graphics and fun interaction. Thanks Linda! Still a few steps away from 'game level', but it's a start. What a great example Dan, really well done!